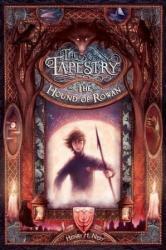 Join Max on a thrilling adventure throughout the school year at Rowan Academy! This book was a really great book with lots of adventure and magic. It is sort of like Harry Potter (don't compare these two series because as similar as they can be, they can be VERY different too) but in my honest opinion, if someone were to ask me Hogwarts or Rowan? I would probably say Hogwarts. However, this book is an amazing adventurous, magical, good vs. evil type of book. There are a few kisses throughout this book, including one where David captures a photo of Connor and Lucia and keeps the photograph. There is a few sentences on one page where Connor does something questionable, but they do not focus on it or keep bringing it up. 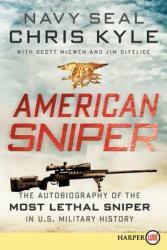 Overall, this book was really good an besides those few parts that I mentioned above, it is a fine book. 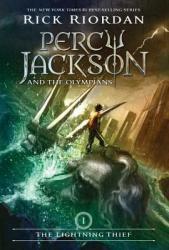 An excellent introduction to Greek mythology and adventure, Percy Jackson and the Olympians provides an engaging storyline and an interesting set of characters. 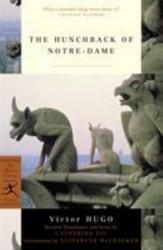 Perfect for early interest in literature and mythology alike, it was one of my first favorite series of books. I would recommend reading for ages 9 to 12, but it can be enjoyed at any age! The Percy Jackson series is one of my favorite series’ because it combines two topics that I really like, Greek mythology and action/adventure. Greek gods and legends are typically very epic and exaggerated so combining that with a very relatable boy creates an amazing result that I think only Rick Riordan could have come up with and developed. Percy Jackson and the Olympians; The Lightning Thief, a fictional novel by Rick Riordan, follows the journey of a boy and his relationships and encounters with Greek legends and myths. Percy Jackson is at first what some might call a “loser” and often gets picked on at school and has trouble concentrating on academics. Percy’s whole life changes when he discovers that his dad, which he hadn’t known before, was the all-powerful Poseidon making him a demigod. After Percy finds out who his dad id he is sent to Camp-Half Blood, a cleverly named camp for demigods, because his home is no longer safe for him. In Camp Half-Blood Percy makes himself at home I makes new friends by impressing people with his powers which he didn’t even know he had. The fun and games is quickly over when learns that someone has stolen the lightning rod from Zeus, the king of the gods, and the top suspect is none other than Percy Jackson, son of Poseidon. On Percy’s journey to prove to Zeus that he is not the thief he is accompanied by his two best friends Annabeth and Grover. I personally think that it was quite a genius idea to have the main character be just an average boy that gets bullied and picked on at school because it makes him relatable. I think that in one way or another everyone has been bullied before and it makes Percy a very relatable character and I also think it kind of acts as inspiration for us. 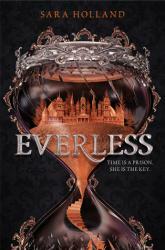 Everless is a very interesting read with a concept similar to that of the Red Queen series by Victoria Aveyard. This book follows a girl in a kingdom where your life-blood is currency. She is thrown back into the royal goings of the royal family to be able to care for her father but learns much more about herself than she thought. Overall, I really enjoyed this book because it's an interesting concept and I enjoy the sort of fantastical kingdom type books. Some parts of this book were confusing in terms of what exactly the characters were feeling and their intentions but I thought this was a very good book. I would recommend this book for lovers of the Red Queen series and books of similar concepts. 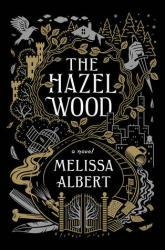 The Hazel Wood is an interesting mix of modern perspective and fairy tale magic. 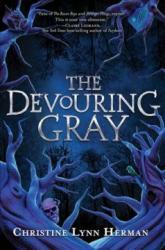 This book took a Grimm's fairy tale turn in it's dark and twisting paths. The main character has always been followed by bad luck and when she goes back to her dead grandmother's estate, she finds out why. I really enjoyed this book as a fan of fairy tales and darker ideas. I would recommend this book for fairy tale lovers and people who have a love for the darker side of the world. 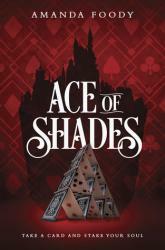 Ace of Shades a spectacular read. This book is set in a town ruled by gangs and gambling. The main character is trying to find her mother and get through the city without it ruining her, but she finds that she is made more of this city than she thought. I really enjoyed learning all about the city and the workings of the gangs within it. Ace of Shades has a special magic for drawing the reader in and keeping you wanting more. I would suggest this book for people who enjoy mystery, fantasy, and a little bit of Las Vegas. 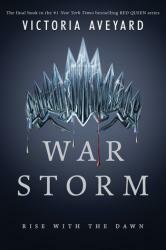 The final installment of the Red Queen series, War Storm was an interesting conclusion. This book is the conclusion of the war between Cal, Mavis, and Mare. For a conclusion, I thought the author took a bit of the easy route by not wrapping it all up and leaving an open ending. After reading the whole series I felt like this wasn't the best ending to the series but it was an interesting way for the author to tie it up. For readers of the series, definitely read this book because it's still very good, just not my favourite of all of the them. This book follows two twin girls heading off to college, and they differ in social skills, interests, and beliefs. 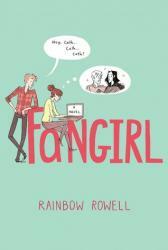 They share common ground over their mutual love for a book series revolving around Simon Snow. He is similar to Harry Potter. Cather, though, is much more obsessed with the series and writes fanfiction in her free time. With no interest in attending college away from her dad, unlike her sister Wren, she hides out in her dorm and avoids people until her roomate and her friend Levi drag her out. She slowly overcomes her hatred of university and gets closer with Levi, but struggles between writing what is an original idea of hers and what she takes from the Simon Snow books. 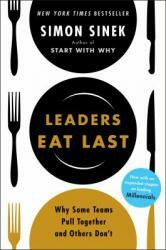 I really enjoyed this book because it is easy to relate to in today’s world. With ever-present media and popular shows and books bring in the spotlight, it is hard to be feel genuine in your ideas or opinions. The book explores different ideas or love and originality and provides a view of family and of university that is atypical. It was very interesting to read about the social dynamics of an introverted university student, but the cute romance aspect of the book also adds to the entertainment. 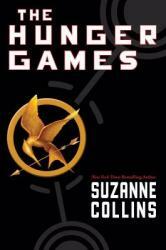 I would recommend it for a young adult read. I would give it three and a half stars out of five. This book follows ex-convict Shadow, once he is released from prison and enters into a new job as the assistant to Mr. Wednesday (more commonly known as Odin). Shadow doesn’t believe the fact that he is surrounded by gods, until Mr. Wednesday introduces him to god and god and shows him undeniable evidence. Mr. Wednesday is using Shadow as a mean of amassing the older, more forgotten gods into an army ready to retaliate against the new gods of the modern era. Technology, for example, is depicted as a god, but a socially removed and young god. This has been one of my absolute favorite books to read because of how it explores the change in worshiping from ancient gods and folklore into technology, media, and trends. 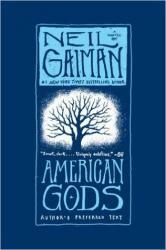 The book is so complicated because it brings together ancient gods of cultures from around the world. Each have different origins and purposes, and the role Shadow plays as the representation of humanity only intensifies the surreal feeling of the book. I liked how I was able to relate to Shadow, as bring subject to the controlling factors of society, whether they be demanding gods or media outlets. I appreciated how well-researched the cultures written about were, and how there isn't a page in the book that doesn’t bring about another point to think about, something like morality or control. 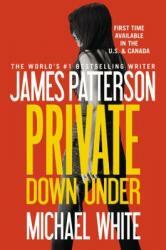 The book is also very entertaining and a fascinating storyline, and I would highly recommend it to any reader. I would give it five out of five stars. 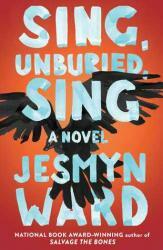 This book is a mix of old folklore and spirituality, racism, social stereotypes, and empathy. It revolves around a family who face racism from the white grandfather of black children. The main characters are the mother, the son, and the baby daughter, who relies more on her brother than her own mom. Her mother spends more time doing drugs than raising her kids, so the grandparents have generally brought them up. Their father, a white drug dealer, is in prison, and the book follows the family’s road trip to go and pick him up. The novel switches between a modern setting, and the prison but from the 1940s, when the black grandfather was in jail. The story analyzes the reasons behind a broken family, and brings to light the continued racism in the southern USA. However, the spirituality plays a role because another character who joins the road trip is the mother’s dead brother, who appears as a ghost and brings up the idea of family. 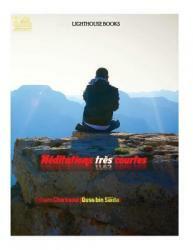 I enjoyed this book very much because of its complexity. 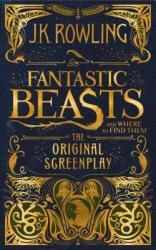 The book can be a slow read, as all the scenery and characters are continually described in precise detail, but the author leaves no point unexplained. The meanings behind the plot are subtle, and the supernatural aspect is a good point of interest to tie together the past and the present. I loved the honesty behind the author’s writing, and I enjoyed the beautiful writing style. I would highly recommend this book, and would give it four out of five stars. This books follows Elliot Schafer as he leaves behind the modern England and travels instead into a magical land where he enrolls in a sort of a school. Students, called cadets at the camp/school, can choose between war training and council training, meaning fighting or diplomacy. He befriends Luke Sunborn, the fan favorite of the camp and a promising soldier, through a truce that they made regarding the third member of their group, Serene, the only elf who joined the human army and who they both try to help by offering extra lessons. Elliot’s mission slowly becomes peace in the Borderlands, the name of the magical place he now lives in, because he doesn’t like their dependency on war as a means of existence. 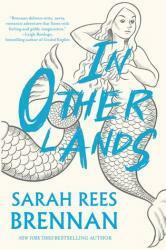 The book then follows the three friends as they navigate treaties and violence and meet many magical creatures. This is by far the best book I’ve read this year. There is a sense of empathy for all the characters, realistic romances, delicate friendships, and other harsh realities that rarely appear in young adult literature, not to mention the reverse gender stereotypes and raging pacifism that become center points of the plot. I loved the detail in the story and how everything in the story in interconnected. I could barely put it down, and would highly recommend it. I would give it five stars out of five. 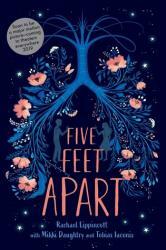 This book follows two teens who have Cystic Fibrosis and are receiving treatment in the same hospital. The girl is fairly strict with her routines, but she slowly falls for the rebellious boy who ignores the doctors’ advice and avoids his medicine. While this book was interesting, especially in regards to the medical aspect, the plot as a whole wasn’t all that unique. The idea of a forbidden romance, even due to medical conditions, was not terribly exciting. I would not recommend this book for anything other than a quick, cliché romance read. It isn’t too deep and the end is very predictable. I initially chose this book because I thought it would go more in depth into the lives of the main characters lives and explore CF, but the book is almost totally limited to the hospital. I would give it two and a half stars out of five.